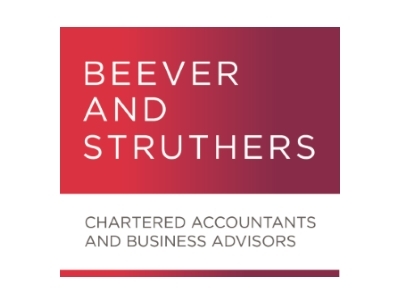 Beever and Struthers is an award winning firm of Chartered Accountants and Business Advisors with offices in Blackburn, Manchester and London. Our ambition is to help businesses across Lancashire access the right professional advice and support in order for them to grow. As members of Boost we can build on our existing reputation and presence amongst fellow professionals, clients, funders and other intermediaries to promote opportunities for development and prosperity. We have many areas of specialism, but one single minded focus. We judge our achievements on what we achieve for our clients, by striving to excel in everything we do, in every sector we operate in, every day. Our client base includes contractors/freelancers and sole traders, business start-ups, charities and not for profit organisations, as well as large multi-million pound turnover corporates. We guide many businesses from initial incubation, helping with their first business plan or setting up appropriate accounting records, through their expansion and development and then onwards to ultimate succession planning or exit. We also act for many second and third generation family businesses where the badge of “trusted adviser” is truly earned. As the sole accountancy and business advisory firm in the North West to join HLB International, we are also able to provide clients with international financial advice in more than 140 countries. We take a pro-active approach with our clients, taking the time to understand their business and the challenges they face. As one of the largest regional firms in the North West we are able to access a wealth of experience to meet our client’s needs. Our sector specialists engage with clients at a strategic level, not only providing first rate accounting service, but also helping them improve business performance, boost cashflow and reduce tax liabilities. Whatever your business, whatever issues you face, whatever level of input you need, our partner-led teams provide bespoke, practical advice and value for money services to help businesses across Lancashire achieve bigger and better things. At Beever and Struthers we advise all our clients to carefully manage their cash especially when growing their business. Forecasting and planning for growth enables successful entrepreneurs to scale the business up without strangling it or running out of cash. And therein lies the key factor in effective growth management: cash! Businesses require extra funding to pay for additional products or resource to boost sales. Careful planning is essential to ensure that there are funds available for growth and to prevent the business over trading. Lancashire is developing into a leading economic force within the Northern Powerhouse. Its commerce and industry have a great reputation, offering a range of financial support for businesses, whilst driving growth and innovation at the same time. The county has world class universities, research facilities and excellent transport links. Recent funding and investment into the region is helping create jobs and business opportunities. We have a shared ambition to help businesses across Lancashire access the right professional advice and support in order to grow and achieve more. Working with Boost will build on our existing reputation and presence amongst fellow professionals, clients, funders and other intermediaries within Lancashire. Also it will complement the firm’s existing growth and business development plans in Lancashire, especially East Lancashire where our Blackburn office is based.